WD-40 protects metal from rust and corrosion, penetrates stuck or jammed parts, displaces moisture, and lubricates just about anything. 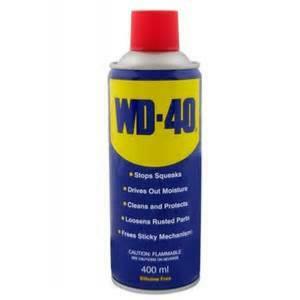 WD-40 also cleans grease, grime, and other marks from most surfaces. This can has a Smart Straw attached.